Duiske College is a small, co-educational vocational secondary school that provides post-primary and post-leaving certificate (PLC) education for students in its rural catchment area in Kilkenny. There are 180 students and 20 teaching staff. They were awarded the Green Flag for Energy in May 2016. The committee includes teachers, the caretaker, and at least one student from each year. Students and staff volunteer each new school year, while any members from previous school years can remain on if they wish. They use an ‘open door’ policy so that if anyone gets interested during the year and wants to come on board they can still join the committee. The committee meet once a month for discussions and to work on their action plan. Duiske College completed all of the essential and recommended actions for the environmental review. By taking temperatures in various parts of the school it was noted that some classrooms are warmer than others and need less heat, while the opposite also occurred, with cooler rooms need more heating. The survey at the beginning of the review showed a lack of knowledge as regards energy, its usage and wastage. 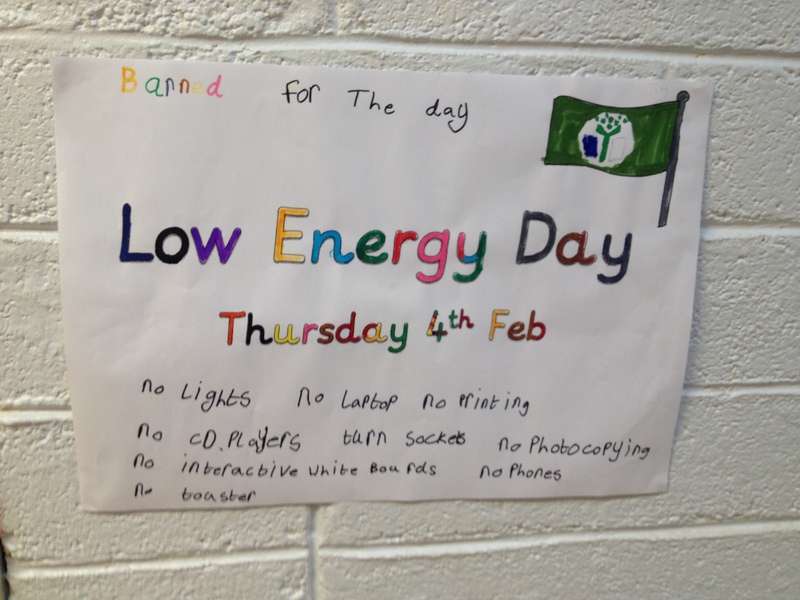 However, the majority of students were interested in trying to cut down energy usage. 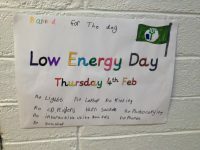 Lots of students volunteered to be energy wardens and they discovered many places the school was wasting energy: lights and appliances being left on during breaks and some even all night! Different energy provider’s prices were researched to determine if the school could save money. The committee carried out an energy audit and established the energy usage by the school as €97 per day, for every day that it is open. Usage and cost over two years – 2014 and 2015- were compared and the results were charted and displayed on the notice boards. Progress is being monitored and evaluated by recording data from surveys, thermometers and bills which are graphically illustrated on the Green-Schools notice board. 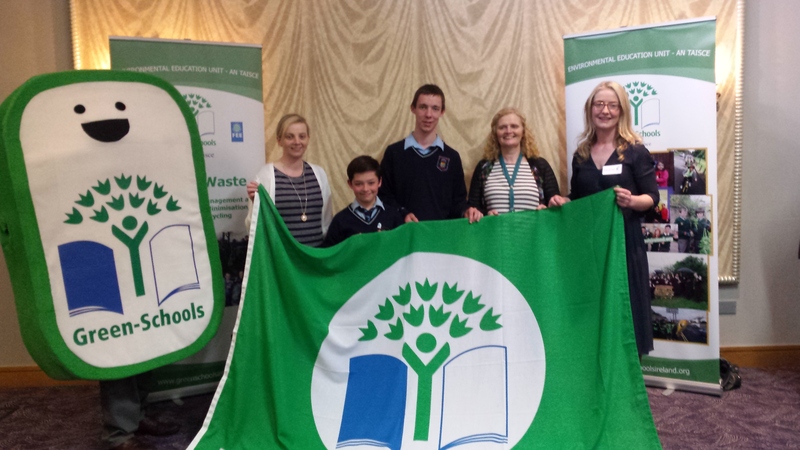 All energy records are discussed at green schools meeting and actions are taken to improve our energy wastage. 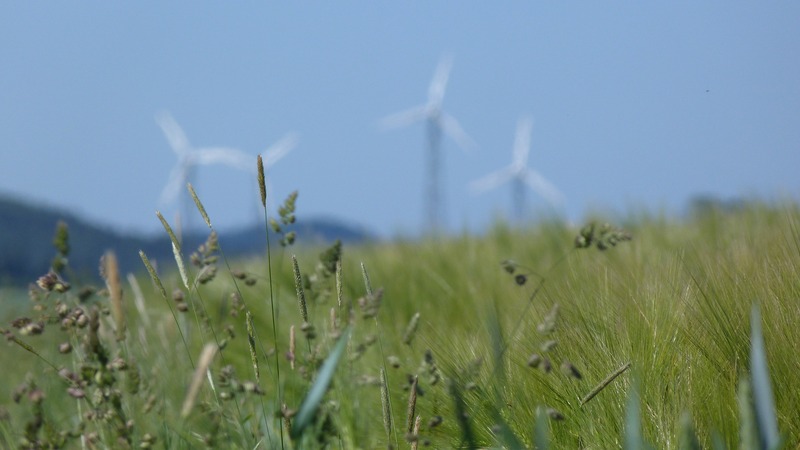 ‘Before and after’ surveys and questionnaires establish how much knowledge the school body know about energy, its’ usage, and to measure the success of the energy awareness campaigns. 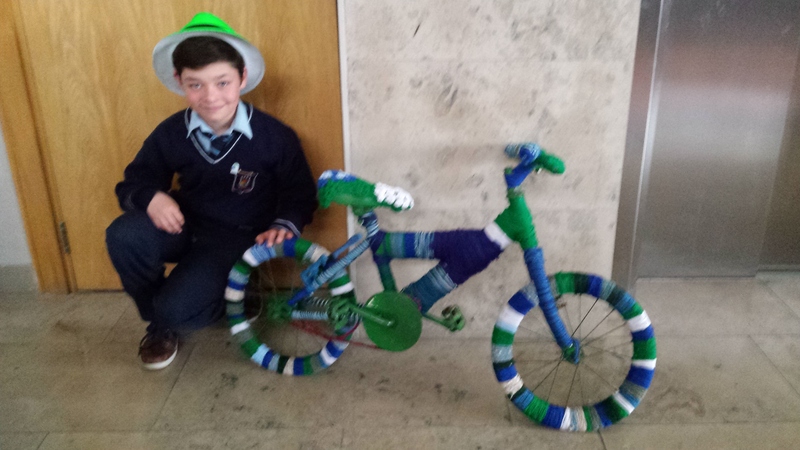 For their action day, the whole school participated in a Re-Cycle Action Day. 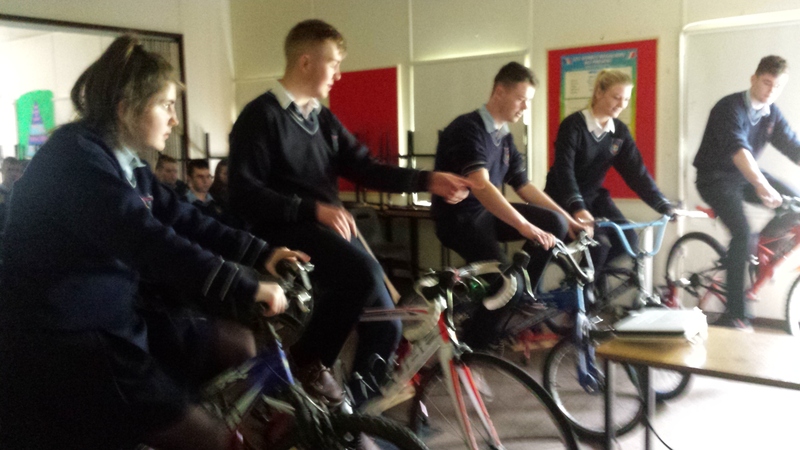 Students cycled to create energy to power a film screening, music in the classroom and smoothie making. Student committee use an ‘open door’ policy and if anyone gets interested during the year and wants to come on board they can still join the committee. 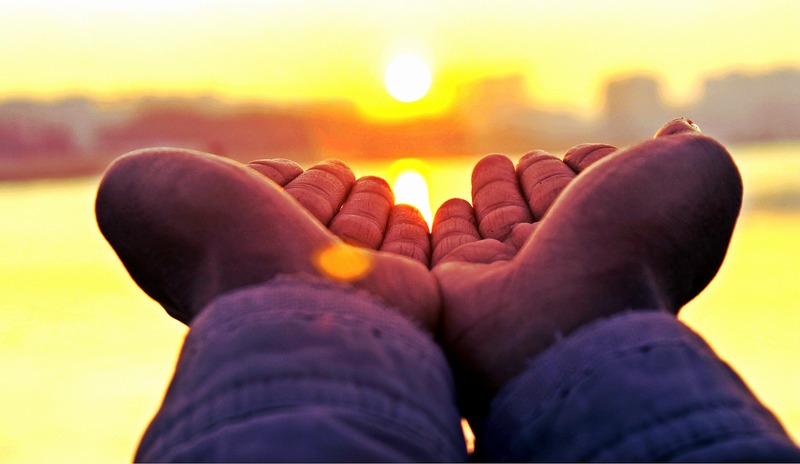 A text message or letter is sent to parents, and environmental information is included in the website, school and local community newsletters to raise environmental awareness in the greater area. The school is kept up to date via the Green-Schools notice board, and newsletters.